According to Lifehack (a prestige website about advising tips to improving your life), Hanoi is one of the most culturally rich city in the world that you should come to visit at least once in your life. 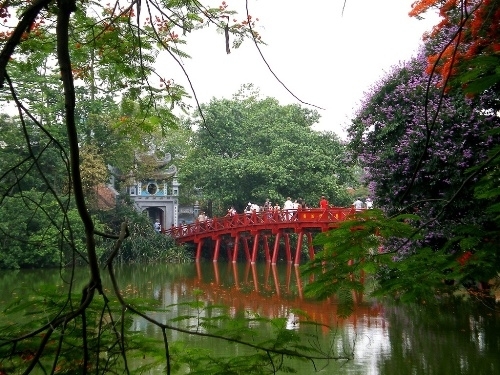 Hanoi is popular across the world because of its ancient beauty of Old Quarter and French-oriented architectures. Some famous sites such as Hoan Kiem Lake, West Lake as well as the parks and poetic streets bring impressive and charming attraction for thousand-year city. With more than 6000 temples and pagodas, the city is perfect place for anyone who want to explore the Asian culture and tradition. Lifehack suggested tourists that they can buy various things in the Old Quarter such as footwear, clothes, souvenir and medicinal oils with very reasonable price. Besides, street food is really an amazing feature in Hanoi. Street foods in Hanoi are delicious, diverse and unforgettable. It is truly a memorable experience when you enjoy street foods in the city, because it is an awesome way to explore the typical cultural of the locals. Together with Hanoi, the cities chosen in the list include Chiang Mai (Thailand), Kathmandu (Nepal), Udaipur (India), Berlin (Germany), Prague (Czech Republic), Florence (Italia), Melbourne (Australia), Amman (Jordan) and Marrakesh (Morocco).